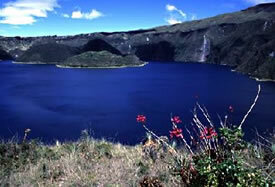 Portraits - MARIO INCAYAWAR, MD., MSc., Ph.D.
Cuicocha is a beautiful crater lake. 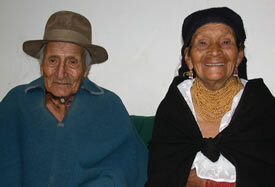 I am a Quichua (Inca) academic physician and scientist born in Otavalo, Imbabura, a small town in the Andes. 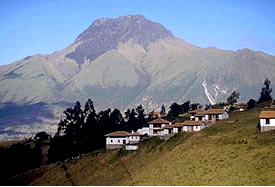 The Imbabura mountain is a central figure in the region. 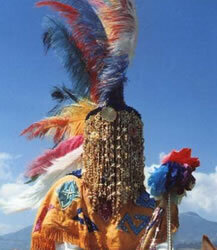 It is known by locals as "Imbabura Taita" (Father Imbabura). What I really miss are the gigantic mountains and majestic lakes of my homeland. It is surely a matter of being wired for this environment and imprinted at birth. 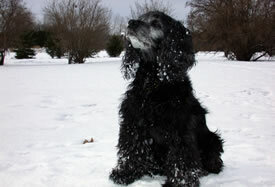 This is my daughter Sioui, a bright and joyful person. She is a courageous traveler across countries, cultures and languages. Sioui completed her B.Sc in Psychology at McGill University, her Master's in psychology at the Université de Montréal, and her Ph.D. in neuroscience at Texas A&M University. Currently, she is enrolled at Université de Montréal School of Medicine in Montreal, Quebec, Canada. Lise and Sioui are the two most important persons in my life. They are enjoying a beautiful day at the water front of lake San Pablo and the foot of Imbabura Taita. He is a strong, resourceful, and wonderful man. My father, Luis A. Maldonado L, taught me many good things about life. Especially those essential skills for achieving high quality work. He is my empowering figure who showed me how to cope with post-colonial oppression, and how to face-off mishu (ecuadorian latinos) when perpetrating racist acts, racial discrimination, abuse and violence against us, the Indigenous Peoples of the Andes. My parents are weavers. The picture represents my early memories at home. With time, they changed their weaving and marketing techniques. Today, they produce textiles with electrical and automated equipment. 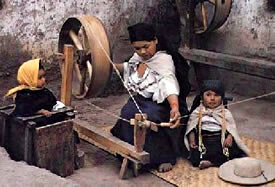 Must see Obraje Weaving Museum in Otavalo. The kindness, love and generosity of my grandparents are endless. Sometimes their affability put them in danger. I always thought the racist agression, bigotry and rudeness of the latino ruling group in Ecuador threatened them. He is taita Jose Manuel Morales, a remarkable healer. Unfortunately, he died at the age of 36. I am immensely grateful to him. 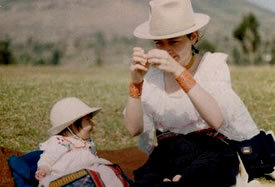 In 1990, we worked together studying Llaqui (depression, anxiety, somatization), a Quichua illness category. 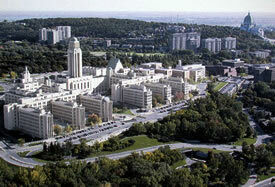 I keep nice memories of my studies at Université de Montréal, a proud French-speaking institution of higher education. I completed there my studies of both community medicine and biomedical sciences. 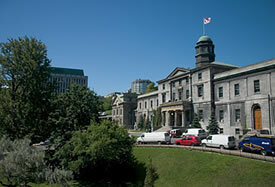 I learned many good things at McGill, particularly the value of rigorous reasoning and scholarly work. I was fortunate to have Dr. Raymond H. Prince, one of the fathers of transcultural psychiatry, as my Masters' research supervisor. He was an extraordinary mentor and role model. 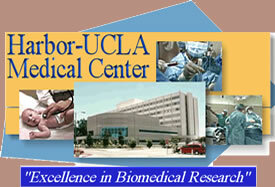 My advanced research training at the NIMH Research Center on the Psychobiology of Ethnicity, located at Harbor-UCLA Medical Center in Los Angeles was exciting. Dr. Keh-Ming Lin introduced me to the energetic American scientific community and encouraged me to pursue an academic career. 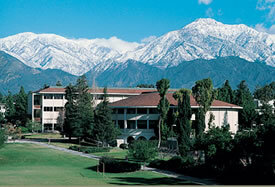 My first academic appointment in the U.S.A. was at the Claremont Colleges; an impressive consortium of five highly selective liberal arts colleges and two graduate institutions in California. 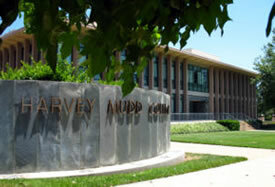 Holding the Henry R. Luce Professorship in Brain, Mind and Medicine: Cross-Cultural Perspectives was both an intense professional experience and a wonderful opportunity to enjoy the academic life in the U.S.A.
Freedom and curiosity is what I found at Pitzer College. In this context, I was able to establish research and teaching collaborations with local Chumash and Tongva (Native Americans nations) healers. 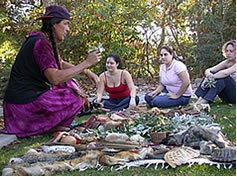 Ms. Cecilia Garcia, a Chumash medicine women (in the picture) is offering a healing demonstration. 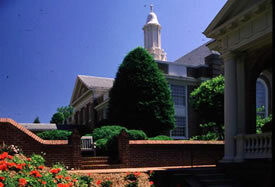 Randolph Macon Woman's College in Lynchburg, Virginia is a wonderful undergraduate institution. They allowed me to pursue my interests in Indigenous Peoples' mental health and the neuroscience of the healing process. I wish my stay there would have been for several years. Brillante, enjouée, et sans un grain de malice, Coquine nous a accompagnés pendant plus de 15 ans. Sa seule présence suffisait à créer une ambiance de sérénité. De Quito à Montréal, puis en Californie et ailleurs, c'était une grande voyageuse. Elle nous a laissés à l'été 2010 , le jour de la Saint-Jean.